One of the best ways to ensure your van, truck, or car stands out is with vehicle wraps, whether you operate a big business or are an individual just looking for a way to show off your personality. 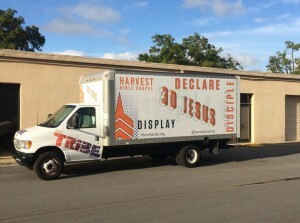 Vehicle graphics have the lowest cost per thousand impressions of any form of advertising. This means that when you install a vehicle wrap, you will reach tens of thousands of people every month. Thankfully, Citrus Sign Studio is one of the premier suppliers of vehicle wraps for Orange County, FL. Read on to learn about what alternatives there are to choose from. It is crucial that you expose shoppers to your branding as often as possible if you want to increase your name recognition. Vinyl decals are one of the most affordable and simple ways to display your company logo on your fleet of vehicles. As you drive around town, spot graphics are also a smart solution for highlighting your top-selling items or your handiwork. Vinyl window perf is commonly used for rear window graphics. This is because this adhesive vinyl is perforated with tiny round holes. About half of the material is removed by these holes. This allows people in your car to see out while spreading your message on the outside. You might consider full wraps if you want to make a big first impression. We get our vinyl from world-renowned manufacturers like 3M, Oracal, and Avery Dennison. Also, we only use vinyl films that were specifically created for use on cars, vans, trucks, and boats. Aftermarket parts can also be wrapped. Although most of the vehicle graphics we supply are for enterprises trying to drive sales, we also serve consumers. 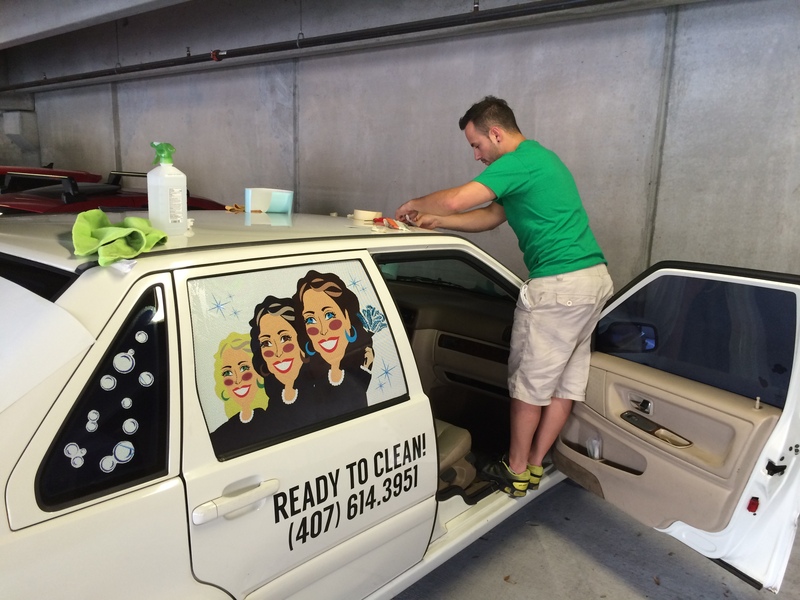 Individual clients are mostly looking for a way to personalize their vehicle, and they know that vehicle wraps are more affordable than paint jobs. We can transform your vehicle into any color you want with our color change wraps. If you are working with a tight budget or you have a large fleet, vinyl vehicle lettering is the way to go. This is the least expensive way to put your contact information and organization’s name on your fleet. We have lettering in a broad range of standard typefaces, sizes, and colors. Or, we can custom design your truck lettering to match your other marketing materials. If you just want to wrap part of a big vehicle, this is your best option. When you hire our graphic artists to design a partial wrap, you will get a wrap that perfectly complements your truck’s colors. This will make it look like you have a full wrap at a fraction of the cost of that product. Additionally, we often get requests from political campaigns and realtors for large magnets that can easily be applied and removed from vehicles. 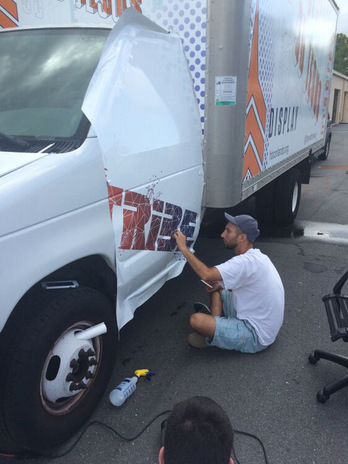 Contact our friendly professionals today for a free estimate on vehicle graphics in Orange County, FL if you are interested in learning more about what solutions we have for your company.